Hosting the biggest bay in Malta! On a ridge overlooking Mellieha Bay stands the town of Mellieha. The town, one of the largest in Malta, has managed to retain much if its charm and character despite an influx of foreigners attracted by the many local activities. The steep main street is lined with shops and towards the end of town are a couple of nice hotels and the Parish Church. The road then winds further downhill to Mellieha Bay, which has the largest sandy beach on the island. 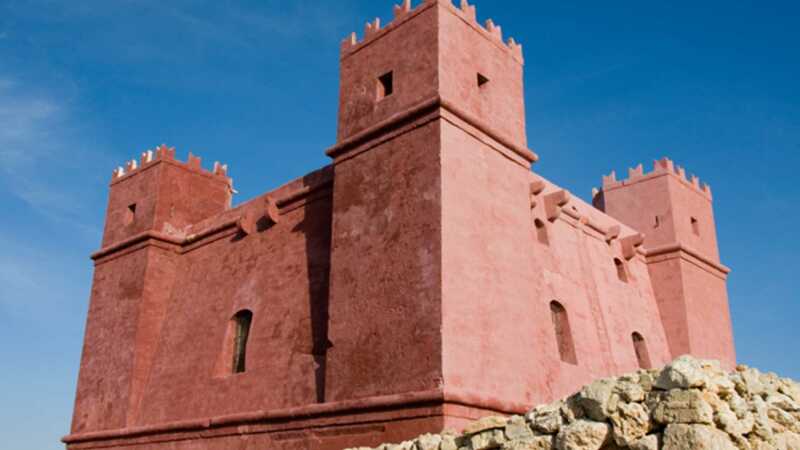 Mellieha developed as a village through pilgrims who made the journey to visit the Grotto of Our Lady and the miraculous statue of the Madonna. There is a small chapel on the main street where you can still see the statue. 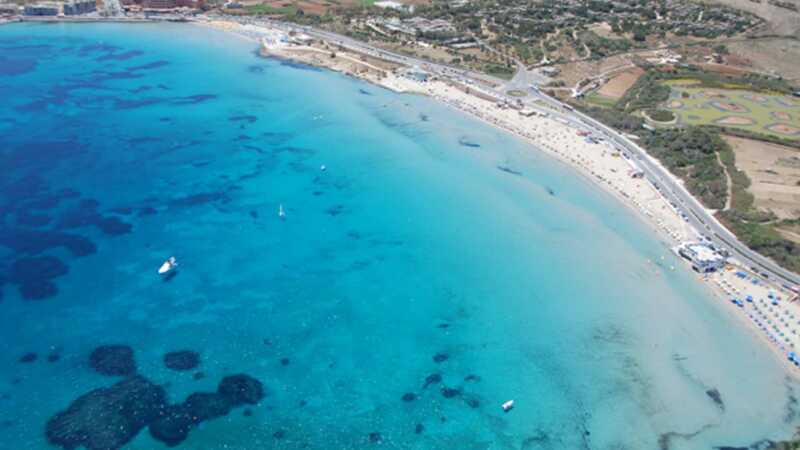 With the best beaches on the island all close by Mellieha is a good place to stay for beach lovers and families. However it is also a great place for walkers and those who enjoy dramatic coastal scenery. Built overlooking the bay, the parish church has one of the most imposing settings of any church in the world. To house the many pilgrims a Sanctuary and a small church was built. The church was partly imbedded in a cave. Due to the increasing numbers of pilgrims the church was extended and the present church dates from the 17th century. The church, with a very impressive mosaic of the Madonna, is well worth visiting. The bell tower holds five bells, each one named, and each donated to the church. Below the church is the rather fascinating Grotto of the Madonna. This is a rather small marble chapel with a very old fresco of the Madonna that, locals claim, was painted by St. Luke. It is also said that the spring water in the Grotto has healing powers. 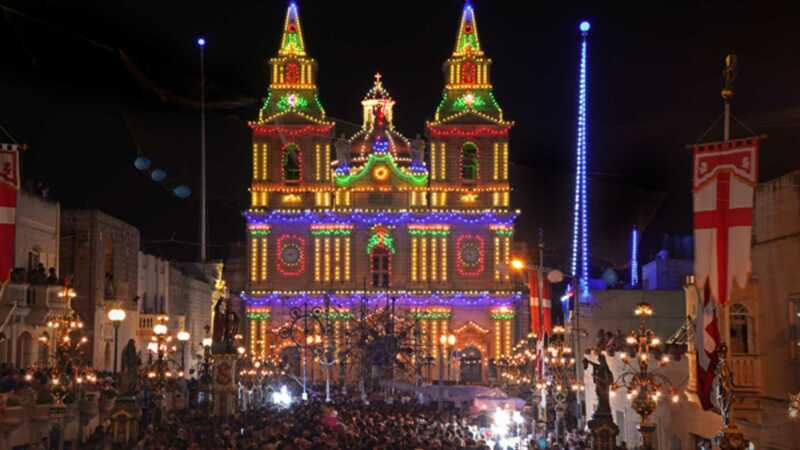 Mellieha starts celebrating its annual church feast at the end of July and for the first two weeks of September there are a number of local activities arranged as part of the celebration. The festivities culminate on the evening of 7 September when there are band processions and a major fireworks display. The Feast of the Nativity of the Blessed Virgin Mary is on the 8 September (also a public holiday in Malta) to celebrate the Feast of Our Lady of Victories. Across from Mellieha on the next ridge stands the impressive Red Tower. Built by the Knights this is one of the finest towers on the island. 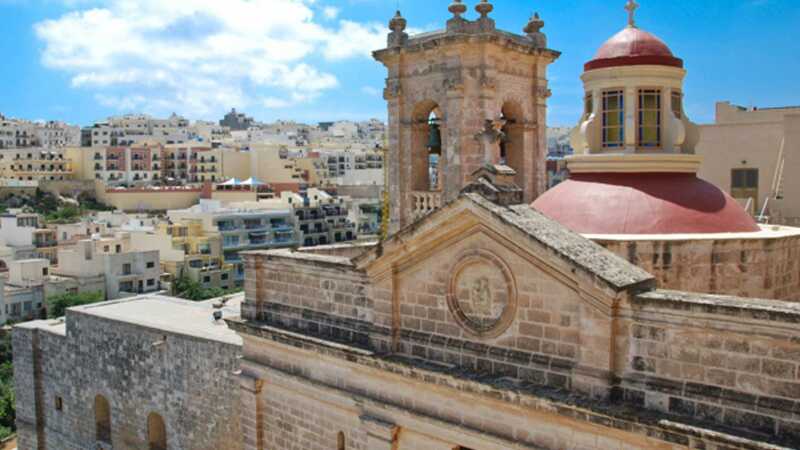 From the roof there are spectacular views back to Mellieha and over the Bay or in the opposite direction the view spreads as far as Comino and Gozo. Also known as Sweethaven Village this rather rambling assortment of wooden houses was built for the 1980 Robert Altman film, Popeye that starred Robin Williams. The village has a souvenir shop, snack bar, beach facilities as well as a small fun park. You can also watch a film about the making of the film Popeye. 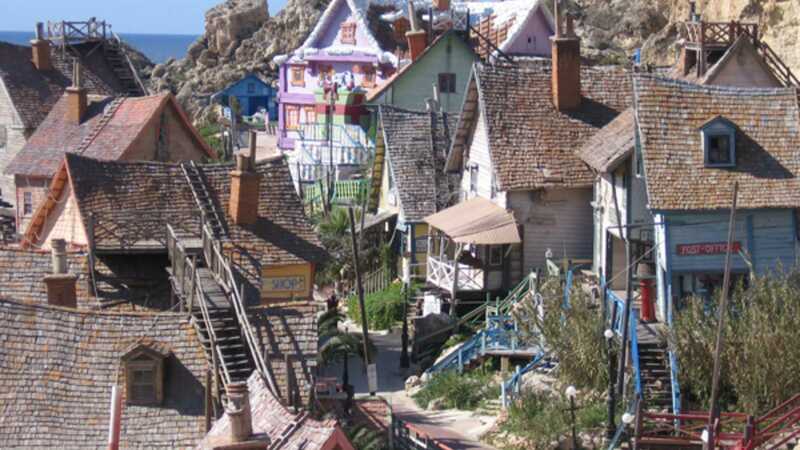 There is a bus from Mellieha that will take you to Popeye Village. The amusement park is worth visiting for families travelling with young children. Between Mellieha Bay in the north east and Anchor Bay in the West lies the Ghadira Nature Reserve. These wetlands now play host to a number of local and migratory birds. There have been over 2000 species recorded here and for any bird lover this is a special place to visit.